At last I harvested the first fruit of my red magallanes pomelo! The plant flowered for first time last june, just TWO flowers on the same branch tip. They both set a fruit but one of them fell down during a typhoon last october. The one left, made its way to ripeness and some days ago it fell at my gentle touch. I wish you a huge goodluck, as i see it's quite slow at bearing fruits considering it's a grafted tree. Water sprouts are great stuff for grafting. Great job Mark, that peach tree is a MONSTER, how old is it? I would not risk a bark graft on those conditions. Better to graft next year on some of the best among the many vigorous shoots that surely will develop this coming spring. And YES you can surely graft onto water sprouts. Citrus General Discussion / Re: Rootstock for Femminello lemons. Tamarind fruits can stay on the tree even 6 months after ripening without getting spoiled. Anyway, when the shell cracks easily at finger pressure they are ready. By the way, how old is your tree? is it grafted? Very nice tree Luis but you should invest some time to remove the weeds! Tropical Fruit Discussion / Re: Multi-rootstock avocados? Have you noticed any difference in growth enery and speed comparing the two grafting systems? All your scions grafts are side veneer isn't it? I've also them growing in a row, about 4 feet from each other and climbing on a trellis. They are very vigorous with a wide spread root system, i would not plant them too close. They mix well, i think it also helps in cross pollination. Tropical Fruit Discussion / Re: How much does elemental sulfer lower soil PH? Sulphur is very effective and for potted plants the solution can be really long lasting. - The effect will depend upon several factors namely the chemistry of your soil (concentration of calcium, carbonates, bicarbonates...) some soil exhibit a strong buffering effect (thus requiring higher amount of sulphur to lower the pH) some are more sensitive. The right amount should be determined sperimentally therefore you should try starting with small amounts then, if necessary, adding more. - The effect is "delayed" because the mechanism goes through the oxidation of elementar sulphur to sulphur oxides then eventually to sulphuric acid. Don't expect to add and see the pH lowering! Be patient and wait before adding more and more. Ideally you should pre-mix thoroughly with sulphur the soil to be treated then wait some time, check the pH and use it for potting. The time requested for the sulphur to affect the pH depends on temperature, humidity and level of oxygen. Citrus General Discussion / Re: Nitrogen deficiency? For me it does NOT look like a nitrogen deficiency. Millet is right, nitrogen is readily absorbed in a wide range of pH and it highly mobile element so i would expect deficiency to show first in older leaves. Moreover the sucker is of a brilliant dark green and the affected leaves show yellowing veins not typical of a nutritional deficiency. I hope for you it's not Phytophthora, did you check tree trunk? Citrus General Discussion / Re: Pigmented hybrids from Italy. Finally a little mangosteen plant with 4 leaves! I had several of them in my property , they are one of the most invading species i've ever seen, fruit bats eat the fruits and spread seeds everywhere. They manage to germinate and grow in pure limestone under the scorching equatorial sun. Their roots are extremely long and can extend horizontally much much wider than canopy, forming a thick net of branched rootlets that can reach any other tree avidly sucking water and nutrients. I had several of them removed since they prevented other fruit trees to grow normally. Some of them had roots longer than 30 meters (100ft). By the way, any root portion exposed to the sun will promptly generate a new tree. It definitely looks like a ROOT problem. Evidently roots can't absorb water/nutrients and this brings all the symptoms you see on the tree. 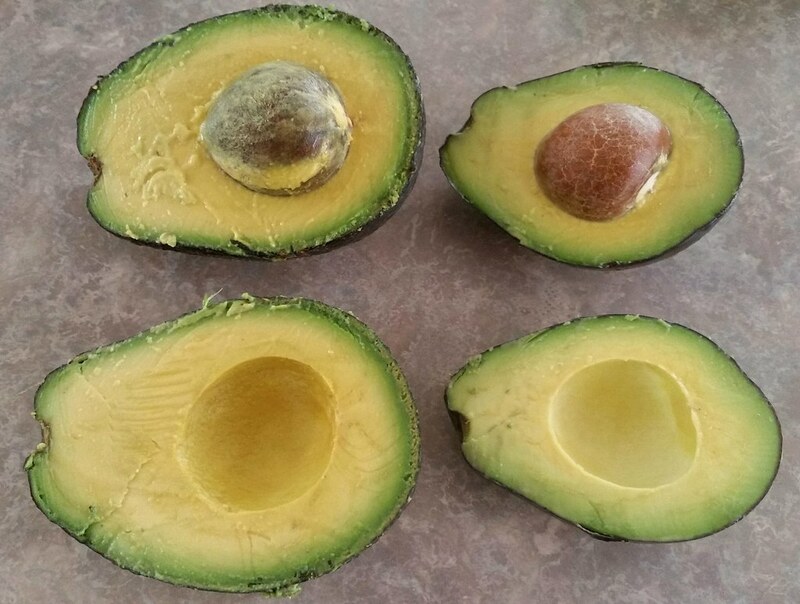 Success/failure of any tree is mainly under the ground and this is particularly true for avocado. I'd try to dig a litle bit in several spots at different distance around the tree trunk to visually inspect the status of the roots. Ideally you should find a thick net of thousands of healthy white/creamy coloured feeding roots. Tropical Fruit Buy, Sell & Trade / Re: Premium types ilama seeds (Annona Diversifolia) only once! I've no pictures now since i'm in currently in Italy but leaves are dfinitely leathery and glossy like a soursop.